The Bauer is one of Saalbach's leading hotels. Located in the heart of Saalbach, the Hotel Bauer is a rich in tradition with the special charm of a family-run business. Small, cosy, elegant hotel with wonderful personal service. The family place high importance on their excellent cuisine. 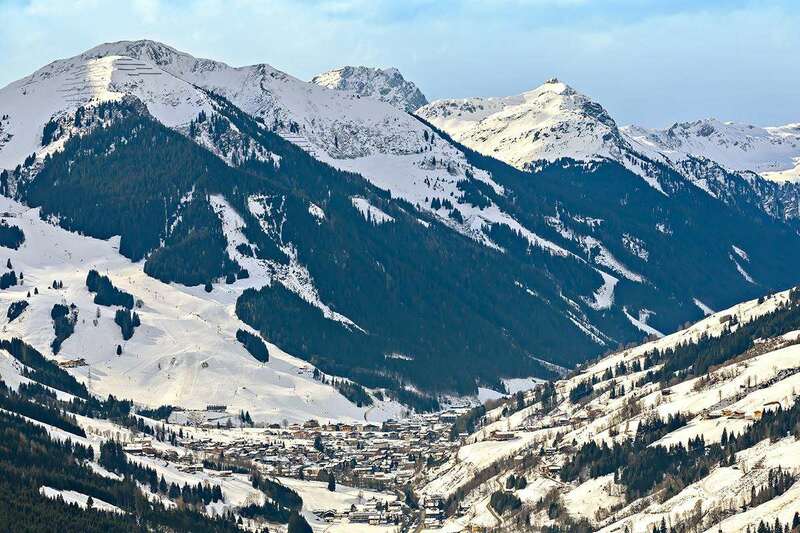 With the installation of a new lift, Saalbach now has the fastest lift system in the world. All are non-smoking and have cable TV with English channels, safe, mini-bar, hairdryer and internet access. No rooms in the annexe. Standard rooms (2 people): Austrian twin rooms (20m²) have shower & wc. Superior rooms (2-3 people): Larger (27m²) and have a sofa bed, loggia (enclosed balcony), bath and wc. Single rooms and twin rooms for sole use are available at a supplement.